I originally had planned a visually-stimulating video-hybrid blog featuring some of the technologies that I have been using, however, something very interesting has started. 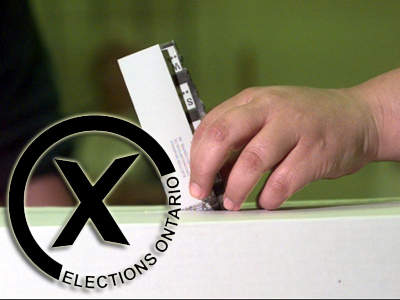 Last month, Premiere Wynne declared the dissolution of the provincial government with elections to be held over the summer. Then the Windsor Star published this article: Windsor Star Article. I read the article, and it struck home with me. There were parts of this article that were real and I have already witnessed the effects on students with special needs. I want to focus my attention on the topic of students with special needs, so I feel I need to reveal a few things in case I may present a biased view of these subjects. I personally tend to lean left in policies, as the Windsor Star often leans right. I work for the WECDSB, and was a student at the GECDSB. I do not want to campaign or promote political agendas, but only wish to offer my personal insight on how special education teachers can/do help students and the roles they often play in schools. Provincial funding for special education this year is $2.72 billion or just over 10 per cent of all education funding. However, about 17 per cent of elementary school students and 22 per cent of secondary students receive special education support, according to the survey. This gap in funding has lead many schools to tough decisions. Labour contracts restrict things, such as classroom size, and leave opportunities to manage funds in other areas. One of those areas are the teachers that do not teach a grade-level class; specifically, special education teachers. Ideally, these teachers work from a classroom where students may come and go as they need to receive help with tests, scribing, reading, assignments, etc. These classrooms may have 1 or 2 students seeking help to 32 students writing tests, all at one time. Special education teachers must be very versatile and able to adapt to a varying number of students. Since these teachers do not teach an actual class, some boards have started to move them around the school. …79 per cent of Ontario’s school boards spend more on special education than they get in grants from the Ministry of Education. The increase number in identified students at the secondary level is a reflection of the time lines in identifying those very students. The striking figure is the increase in percentage of identified students from the elementary to the secondary levels. As we continue to research special needs, we understand better how to identify students earlier. As we continue to identify students we will see an increase on demand in special education teachers, with an actual decrease in availability of these teachers. This is one of the most important pieces of advice that I could offer. When I work with parents as an independent special education adviser, I keep a record of everything. When we contact the school, when the student doesn’t receive proper accommodation, when a student is taught at a modified level, everything. Teachers do their best to log as much as they can, however, the first shortcoming is often the specialized education component. When teachers do maintain good records, some may only share them when a student is not completing their work. Having your own log book empowers you as a parent. Principals are very concerned with their school’s image. They are in charge of creating a positive learning environment and special education is a huge influence on that image. You do not need to harass the principal, but get to know her. Tell her how your student is doing when you see her, ask her if they have any new programs in the works. Its good to be “friends” with your principal as friends tend to take your side in a fight. This one follows with the second point. You need to address the classroom teacher first, then the special education teacher, the department head (if applicable), then the principal. This does not mean, however, that you cannot CC your ever email to everyone on your team. By CCing your emails, other teachers and administration may jump in when they notice a problem that you haven’t even seen. In addition, when the IPRC meeting comes around, everyone is already on the same page with little to no surprises. As a parent, you are not trained to know everything about education. It is never expected of a parent to know what is important and what is not in the world of education. With this in mind, when you see something wrong, ask about it. Even if it is as small as your student did not get extra time on their 5 minute quiz worth 3 marks. The extra time may not be needed, the extra time may have been ignored. You never know when an underlying problem may begin, so it’s always best to record even the smallest troubles. Email, despite claims, is a very legit form of communication. Each email is time stamped and can even be traced to when the recipient read the email. Sending email aids you to document your communication. Phone calls are great for lengthy conversations, and face to face meetings can be even more affective. When you finish a meeting or call, make sure to send off an email thanking those involved and review what was discussed. This also gives those other members an opportunity to clear up any conflicting reports you included in your email. Never skip a meeting, because they will continue without you. IPRC meetings, handover meetings, and parent-teacher meetings are all opportunities for you to advocate for your child. Should you miss those meetings, decisions will be made without you. If you are unfamiliar or not confident with what to do, you can always bring in your own adviser. Advise the principal that you wish to have an adviser with you and use that adviser to your benefit. Advisers should have an AQ in special education along with first hand experience with the IPRC. Keep a folder with all your student’s assessments. You never know when there may be an issue with how or what your student is being taught. Again, this is just another step in maintaining your documentation in case of an issue later on. Parents are not educators, however, they know their child better than anyone. When you notice anything, or feel like something is wrong, tell someone. It may be nothing, but it may also help teachers consider new ideas or observe strange behaviour at school. Sometimes teachers can be a bit more human than we’d like them to be. When a teacher makes a mistake, they may try to brush it off as nothing, or they may make the wrong choice for your student. There is nothing wrong with asking another teacher, another student, or even using a great resource such as the LDAWE. It’s just like using the internet in that you can’t just take everything at face value. Sometimes, you need a second opinion to confirm your findings. A second perspective may even reveal something that neither the parent nor the educator considered. Finally, your student’s involvement. Students that are involved with their own meetings, with the entire process, will not only be more interested in their personal success, but will more likely report when things are not going on according to plan. Parents (especially those parents of multiple children) are very busy, and it can be difficult to play detective with what is going on at school. By keeping your student involved in as much of the IPRC process as possible, they will know exactly what and why to report in relation to their accommodations and modifications. With every provincial election that passes, new education policies are quickly followed. They are not always as obvious as some changes, while others will jump up on you without notice. By preparing yourself to meet these new policies, you will help to ensure that your students are receiving the accommodations and modifications that they are legally entitled to. This summer, no matter what your choice, make sure your voice is heard! This entry was posted in Education and tagged advocacy, GECDSB, Ministry of Education, politics, special education, WECDSB. Bookmark the permalink.